Rama did not utter a single word. He sat near his mother and stroked her forehead, caressing her hair and consoling her. He brushed away the dust with which her clothes were covered. Like a huge well-set rock struck deep in the sea, Rama sat unhurt by the lashing of the surging billows around. He was above and beyond the blows of grief and the blandishments of joy. He was filled with as much equanimity now when he had to leave for the forest for fourteen years, as he had a few moments ago, while proceeding to the Durbar Hall to be crowned as the Ruler of a great empire! Kausalya too knew that Rama would never swerve from his path of duty. She was aware that Rama would never break his plighted word, and that he would not stray a hair's breadth from the path laid down by his father. She was certain that her lamentations would not induce him to turn back. So, she gave up all attempts to persuade him to give up his resolution. "Son! Of what use is it to blame others when one is destined to meet these tragic developments? No. It is sheer waste of words. Everything is for our own good. No one can say 'no' to the dictates of the Divine. I have had no happiness in this Ayodhya, in this palace. I can be happy only where my Rama is. So, I shall come with you; take me with "you", she said. And, she attempted to rise on her feet. The maids held her and seated her leaning against the wall; they spoke softly and sweetly, to bring her round. Lakshmana was watching the anguish of Kausalya and listening to her words. He could not control his emotions. He was bursting with anger. He held his hands tight over his chest, and said, "O! Revered Mother! I shall never accept this. Is Rama to leave the kingdom and betake himself to the forest, yielding to the prattle of a woman? I cannot tolerate it. Father has become too old; his mind is very unsteady as a result. And, he is entangled in sensual pursuits, and he has become a slave to the enticements of Kaikeyi; he is pitiably uxorious; he has no sense of discrimination about the consequences of his actions. He is liable to issue any kind of order in his infatuation. Orders of such type should not be obeyed. The king is in a state of feeble-mindedness, unable to distinguish the real from the unreal, the momentary from the momentous. When such rulers give orders out of infatuation they can well be disobeyed. What crime did Rama commit that he should be sent into the forest? Even the cruelest enemy of Rama (if he has any), or even the most hard-hearted barbarian suffering punishment for his crimes, cannot point his finger at the slightest slur on his behaviour or action. No king on earth has the authority to drive into the forest as an exile a person of such unquestioned innocence, purity of intentions and holy sanctity. Rama is steady in his straightforward path; he is the master of his senses; he honours and treats with respect enemies of every type. Will any father drive such a son into the jungle? Moreover, the king is most attached to Dharma; he is a hero full of sacred ideals; he is an adherent of the best in all faiths. Can such a king issue this command? Judging from this, it is certain that Dasaratha is either insane or enslaved by passion. Any command from a person who is either of these, is unworthy of consideration. The words of a king who behaves like a lunatic or an infant need not be honoured at all. Forgetting the dictates of political morality, giving up the path of worldly wisdom, throwing to the winds the demands of paternal affection, he has become mad, giving free vent to his whims and fancies. Need his command be treated as valid? I wonít agree that it should be respectedî. Lakshmana turned towards Rama, and clasping his hands in reverence, he said, "Rama! Pardon me! Assume the rulership of the realm before news of this spreads and becomes known to all. I shall be by your side, with my bow. 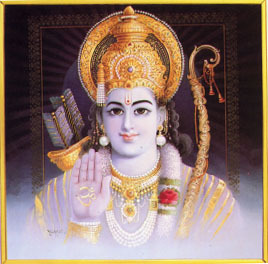 Whoever in Ayodhya stands up against you will have to meet the arrows from this bow. Of course, there is no such, either in Ayodhya or any other place. But, if any opposition develops, this great City will become a desert, with no human inhabitant. My sharp arrows will see to that. Why repeat a thousand things? If Bharatha opposes, or any one on his behalf, I shall destroy him, root and branch. I will not care. Even Dasaratha, if he stands forth as a supporter of Kaikeyi in this struggle, I shall capture him and shut him up in prisonî. While Lakshmana was holding forth in this strain, Rama looked at him sternly, intercepting the flow of his feelings and admonished him thus: "Lakshmana! Your words are crossing the bounds. No one can deny me what I wish for. None can change the march of my will. My exile in the forest cannot be avoided. You are talking prompted by your love towards me and the desire to prevent your separation from me. Forbear! Forbearance will save you against all anxiety and fear. Be patient. Donít get agitated. Do not entertain ideas of hatred against either father or brother Bharatha. They are pure, holy persons. Kaikeyi too is highly venerable. She is to be honoured and worshipped. The boons she asked are also blameless. She loved me, caressed me, fondled me, nursed me, played with me, derived joy from me, more than her own son, Bharatha. When the Mother prays today for such boons from father, boons quite contrary to the ways of the world, surely there must be some hidden significance in the affair. This must be the Divine Plan, not mere human tactics. Be quiet, give up your fears and hatreds, We shall await what happens next", Rama advised him. At this, Lakshmana fell at the feet of Rama and said. "Rama! On what basis, under what authority is Bharatha to be given the Crown that ought to be yours? Which other son has the right which the eldest has not? You are obeying this absurd, unjust order because of father; but I will not approve of it, whatever you may say in justificationî. Turning to Kausalya, Lakshmana continued: ìRevered Mother! To tell you the truth, I am devoted to Rama. I speak this on oath: I cannot exist even a single moment apart from Rama. If Rama has no desire for the Kingdom and if he moves into the forest, I will follow him. I will walk in his footsteps, I will be the shadow for him. If he but orders so, I shall jump most joyously into the blazing fire. I shall heed only his orders, not of any one else. Mother! I cannot bear the sight of your sorrow. He is your son; he is my Ramachandra. How can any one be away from his own life-breath?" Listening to Lakshmana, Kausalya was a little comforted. She stroked the head of Lakshmana saying, ìYour love gives me much consolation. Your words give me great strength. Brothers of your kind are rare indeed! The world considers the mother who has borne such children as venerable and holy; but, we are afflicted now with the feeling that we are great sinners. Rama will not desist from his resolve. Exile is inevitable for him. I want only this now: Take me also with youî, she wailed. Rama looked at Lakshmana and said, "Brother! I know the extent of the love you bear towards me. I am not unaware of your heroism, your ability and glory. Mother is suffering great grief, since she is unable to understand the true facts and the value of self-control. Besides, since I am the child born of her loins, grief is natural. 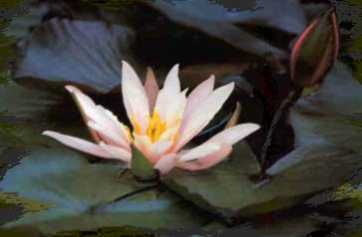 But consider: for all values of life, righteous conduct, Dharma, is the very root. And, Dharma is secure only on the foundation of Truth. "Sathya and Dharma are interchangeable. One cannot exist without the other. Truth is Goodness; Goodness is Truth. I am now achieving both Sathya and Dharma, while acting in accordance with the command of Father. No one dedicated to the good life shall break the word plighted to the mother, the father or the esteemed Preceptor. Therefore, I shall not overstep the orders of Father. That is certain. It was not Kaikeyi that ordered me; she only communicated to me the command of father. And, she did so in his very presence; so, one has to bow his head in reverence to it. If it wasnít fatherís command, when Kaikeyi was telling me that it was, he could have declared that it wasnít, couldnít he? He didn't; he was simply bewailing and groaning; for this reason, it is as authentic as his own command. So, I shall not deviate from any resolution. There is no possibility of my going back on it. Do not allow your reason to slide into this terror-creating Kshatriya mentality. Give up violence and cruelty and adopt my stand.î Rama stroked the beck of Lakshmana, who was weighed down by anger and sorrow and spoke soft loving words to assuage his grief. Then, turning to his mother, Kausalya, he said, ìDo not obstruct my resolve and cause breach of my vow. Whatever may happen to anyone, my exile to the forest cannot be averted. Send me with your Love; bless my vow, my resolution.î Then he fell at her feet and prayed for permission to leave. The mother was shaken by the agony that was torturing her; she placed her hands on the back of Rama and wept aloud. Seeing her plight, Rama too was unable to restrain his emotions. He held her feet and said, "Mother! My word is supreme Truth. Listen. No hardship will happen to me while in the forest. I will spend these fourteen years with the largest measure of happiness and joy. I shall come back and fall at these Feet again. I shall fulfill all your hopes about me. Mother! It is Dasarathaís Command! It is a Command which not only I but, you, Lakshmana, Sumitra and Bharatha too have to carry out to the very letter. This is the ancient law, the Sanathana Dharma. Kausalya listened to these words of Rama; she could not bear the grief that descended on her. She groaned in peat pain. ìO my son! Father brought you up and helped you grow and was happy to see you tall and strong. So, he deserves reverence and obedience. Am I too not worthy of reverence? And obedience? And, consider this! The wife is the husbandís half. The husband is the wifeís right half. Thus, when each is the half of the other, I am half of Dasaratha, am I not? That is why the wife is named the Ardhangi (half the body) of the husband. When you say that you have been commanded by Dasaratha, it is only the command of half of him. It did not originate from all of him. It will become authoritative only when this half too agrees. When I do not it is not valid as a command. You know the meaning and significance of Dharma in all its varied aspects; so, you must be aware of this too. Without the motherís acceptance, no duty can be binding and nothing deserves the name Dharma. More than the fatherís command, the motherís is to be followed. That is the more important duty. For, it is the mother who nourished you into childhood and boyhood, not the father! Had the mother not borne it for nine months, there would be no child at all! You are now throwing that mother into the flames of grief, and proclaiming, ë0, it is my father's command, I must obey it at all costsí. I shall not accept that conduct as correct. No treasure is richer to the mother than her son. And, for mothers such as I the son is all. When the son looks askance at me, and considers the fatherís order as superior, of what benefit is it for me to secure heaven and live on Divine Nectar there? I shall rather be in hell. I shall deem it heaven if my son is with me. "Rama! What can I do at this place? I have not tasted a momentís happiness throughout my life! From birth, I was bound by the limitations imposed by mother and father; then, caught in anxiety about what kind of husband I would get, and what his character and behaviour would be, I was at last wedded to your father. For years, the agony of childlessness afflicted me. Then, I had to suffer from conflict with the other wives of your father. I have no relief from that battle, from that day to this. As a result I do not know of what merit in my previous life, I secured you as son. And, now, separation from you is happening to me. When have I been happy? My life has become a vast stream of grief; I am struggling in it, unable to swim. I sink in it without any hope of being saved. I had you as a branch which I could hold on to save myself. If you deny me that, what will happen to me? As a consequence of my absence away from him, your father will not suffer any feeling of loss. He has his Ananda in Kaikeyi; none else is needed by him. Therefore, instead of hanging on here, and broiling in agony and finally, giving up breath, I prefer looking on at the charming face of my dear son. Though I may not have food and drink in the forest, I shall sustain myself on that joyî. Though Rama felt that there was some validity in her plea, he was forced by the need to obey the wishes of his father and his promise that he would not fall in that duty. Rama turned to him and intercepted his words. "Lakshmana! You are supporting the statements of a mother who is suffering from the clouding effect of a strong attachment to progeny. Consider the order of the Father, which concerns the welfare of the empire, the world in its entirety and the human community. You have not understood the inner implication and meaning of that order. Only Dharma can ensure the other three goals of man - Wealth, Happiness and Liberation. There is no need to doubt this or argue about its correctness. When activity is merely devoted to the earning of riches, the world hates the individual. When it is devoted entirely to the selfish fulfillment of oneís desire, the world condemns it as contemptible. Therefore, activity has to be in conformity with Dharma. Lakshmana! This is not all. Dasaratha is our Father, Preceptor, and Monarch. He might give us a command, either through desire for something, or through anger against somebody or through attachment with and love towards some one, that is not our concern! We have only to obey; there is no justification for discarding it. ìA son who delights in sin might act against the command; I am not such a son. Whatever Father commands, I will bow my head in reverential homage. Regarding this, you might have a bit of doubt. When a father, a fool blinded by lust, devoid of intelligence to discriminate between the momentary and the eternal, intent only on his selfish aggrandizement, and putting his trust on the stratagem of others, inflicts injuries on his own son, you might ask, should the son put his trust in him and obey him? Without fail he ought to! He may be a fool or a cruel tyrant, are you not his son? When that is so, your status is ever lower and his is ever higher. This decides all duties and rights. The son can at best try to clarify to him and explain according to his light what appears to him confused or complicated. He should not refuse to obey, dismissing it as foolish or absurd. ìConsider this aspect also. Dasaratha is a very talented person, a great warrior and heroic fighter, a pillar of righteousness. And, he is struggling in agony to keep his plighted word! He wasnít deluded by Kaikeyi, or blinded by lust! No. He was moved by the supreme need to abide by his promise, a promise he had solemnly made. Besides, he had told her that he would grant her the boons, whatever they be, even if the grant involved injury to his own life! I can never assent to the view that he is overcome by lust. Father is in misery, because he sees no escape from the consequences of that assertion, which his heart does not agree to send me into the forest. Then, turning towards the Mother, he pleaded pathetically, "Mother! ", and before he could continue, Kausalya was numbed into stiffness by sorrow. She realized that her efforts to change the stand that Rama had taken were fruitless. She found that she could not escape the obligation to give him leave to go, with her blessings. She felt that the more she lamented, the more Rama was pained. Meanwhile, Lakshmana was greatly moved; his eyes turned red; he lost all awareness of where he was and amidst whom; his lips became dry; his tongue was tied; he had a fixed stare; he bowed his head and looked on the ground; tears flowed without let or hindrance. Rama watched him, and felt that it would not be proper to leave him in that state. Besides, Lakshmana might do something with himself, if left alone; he might even do injury to others. And, those acts would be deemed to have happened on account of me, he thought. With these words, Rama went round Kausalya full circle, and fell flat at her feet in reverence. At that, the maids and attendants as well as the other inmates of the zenana, set up a loud wail, as if the Deluge had come upon them. But, Kausalya bravely drew Rama towards her when he stood up awaiting her blessings. She embraced him, and caressed his hair, and with her hands on his shoulder, she said, "Son! Rama! you are the staunchest adherent of Dharma. You are a resolute hero. You can have no cause to fear life in the forest. You have resolved on the exile in the forest; it has become impossible for me to dissuade you from that decision. May it be well with you. Fulfill your ideal, your yearning, to respect the wish of your father! Repay the debt that one owes to one's father, by acting according to his command. As for me, I wish only one thing: return happy to Ayodhya. I shall be happy, on that day at least. Rama! The decree of destiny is indeed inscrutable. Its text can not be reshaped even by the most powerful. The Dharma for whose sake you are now leaving us will certainly guard you and guide you while in exile. Rama! How nice it would be if at this very moment the fourteen years roll by, and I see you return, rather than your departure. Alas! Pardon my madness! Son! How shall I convey to you my blessings? Shall I say, let the fourteen years pass by, as fourteen days, no, no, as fourteen winks of the eye! Come safe, come soon. And, be crowned Emperor. O, Jewel of Raghu dynasty! 0, my dearest son! The Goddess of Dharma will surely shelter you during the years of exile, for it is to propitiate Her that you are entering the forest. She is the strongest and most steadfast of Guardians. I shall be propitiating the Gods here these fourteen years and praying that no harm comes to you. The service you have offered to your mother, your father and your preceptor will confer on you long life, health and happiness. Your loyalty to Truth will grant you impregnable courage. The mountains, the rivers, the bushes, the anthills, the beasts and birds of the forest, these will approach you in kind affection, cater to your needs, and fill you with joy. The sun, the moon, and other heavenly bodies will ward off all evil and protect you. Even the demonic Rakshasas of the forest intent on heinous acts of cruelty will be drawn towards you, for your heart is full of cool comforting love, and they will surrender at your feet, accepting you as Masterî. Blessing Rama thus, Kausalya gulped down with some effort the sorrow that was overwhelming her, and put on a calm brave face. She smelt the crown of Ramaís head and held him hard and close in loving embrace. She kissed his cheeks; her lips quivered, when she spoke the parting words, "Rama! Return safe; proceed in joyî. Rama knew the depth of affection that the mother was bestowing on him. He touched the motherís feet many times in reverential gratitude, and said. "Mother! You should not grieve; you should not reduce sleep or food, do not injure your health. Remember me, at all moments with a joyful heart. Your thoughts will be reflected in my safety and prosperity. When you grieve here, how can I be happy there? When you wish that I should be happy there, you have to be happy here. And, with all your heart, you must be blessing me from hereî. Praying thus, he moved out of the place, averse to leave her thus, but, yet, anxious to do his duty. Rama stepped on the royal road, and started walking along, barefooted, through concourse of citizens who had filled it. People were petrified at the sight of that resplendent symbol of truth and virtue. The citizens had heard rumours floating over the streets, telling them that Rama was leaving for the forest; they were unable to believe it as true; they prayed it might be false. But, when they saw him tramp barefooted, their hearts sank; the exaltation they experienced at the news of the Coronation plumped into the depths of misery. Faces that bloomed in joy suddenly faded and dropped, wan and withered. Rama did not raise his head to look at any of the faces around him. He proceeded to the apartments of Sita.